A round trip - in via August Hole and out via Great Chamber. The stream must be the finest on Mendip. 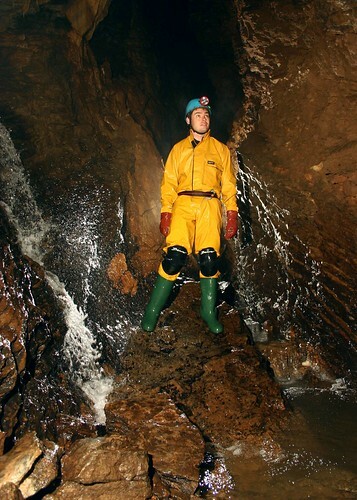 Tight, awkward and wet, but highly recommended to any caver who is not claustrophobic or aquaphobic. Chris Webb negotiating a squeeze in the main streamway. Chris Webb in the main streamway. A large dig team and probably a record for the amount of infill removed - 140 buckets on the Saturday and 120 buckets on the Sunday, but nevertheless a little disappointing. The Club Dig Page for more details. 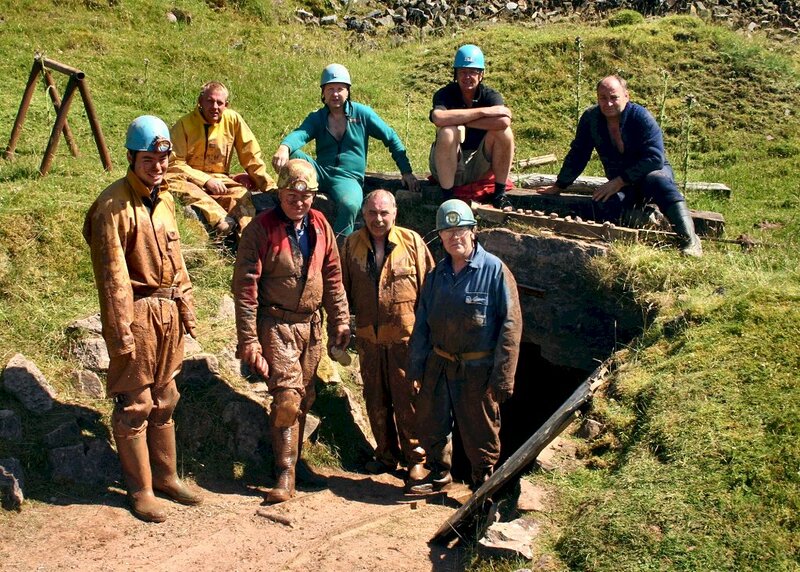 The team outside the cave at the end of Sunday.